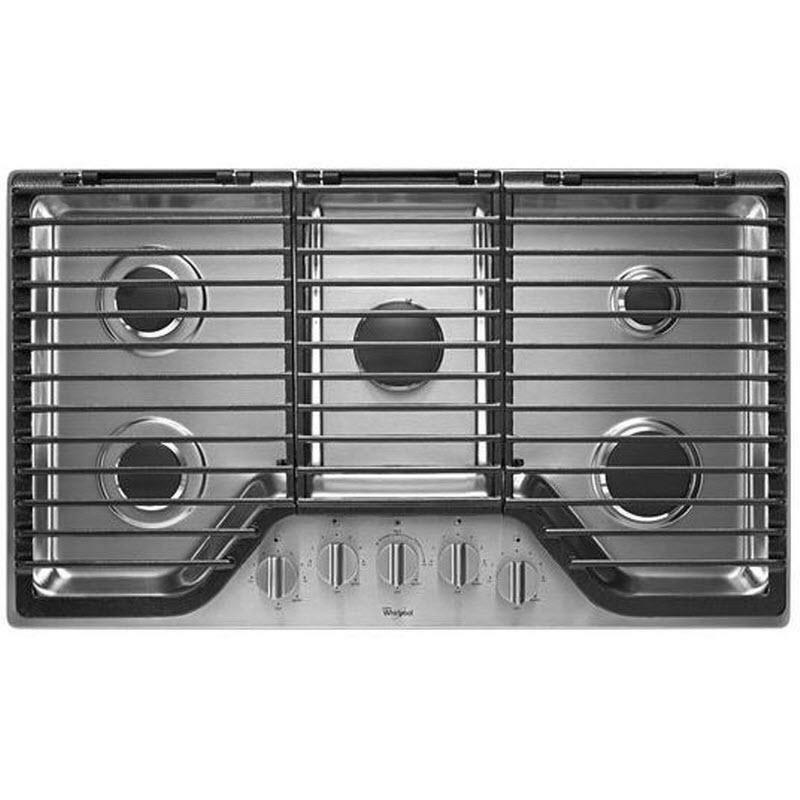 Delicious results are within reach with this 36-inch 5 burner gas cooktop from Whirlpool. EZ-2-Lift™ hinged cast-iron grates stay upright to make cleaning the gas cooktop and the grates easier than ever. The fifth burner lets you maximize the space of this 5 burner gas cooktop by offering more flexibility, while the SpeedHeat™ burner reaches up to 12,000 BTU to generate the high heat needed for rapid boiling, searing and frying. Plus, the 18,000-BTU FlexHeat™ burner offers two rows of flames for high heat tasks and one small row for low heat tasks. Surface Features Stainless steel surface. Power Output Left front power: 9100 BTU;	Left rear power: 9100 BTU;	Center front power: 18000 BTU; Center front type: FlexHeat;	Right front power: 12000 BTU; Right rear power: 5000 BTU;	Right rear type: Simmer.